Thinking of coming to Seattle but don’t want to rent a car? Scared of the Seattle traffic stories or parking woes? Do not fear! 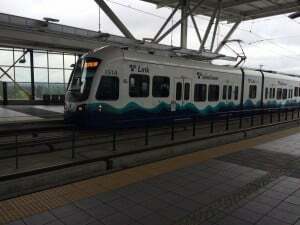 Most of our Seattle Bed and Breakfast Association inns are close to public transportation making getting to Seattle attractions a no hassle ride. Getting to the inn of your choice is a taxi, light rail and bus ride away, once you have settled in your innkeeper will be glad to help you decide the best way to navigate the city. One Bus Away makes it easy to track the bus. Seattle is also a very walkable city with walk scores of 71+ depending on neighborhood, there is also Uber, Lyft for when you rather have a ride. More adventurous guest can try PRONTO, a bike share community where you can rent a bike for a few hours, a day or 3 days. So come to Seattle and enjoy what the city has to offer! This entry was posted in Seattle Tours, Uncategorized by admin. Bookmark the permalink.